Our incredible gourmet cookies make a perfect gift and are simply the best you'll ever taste. Why? Because they're made by hand, with simple ingredients, chosen for their uncompromising quality. 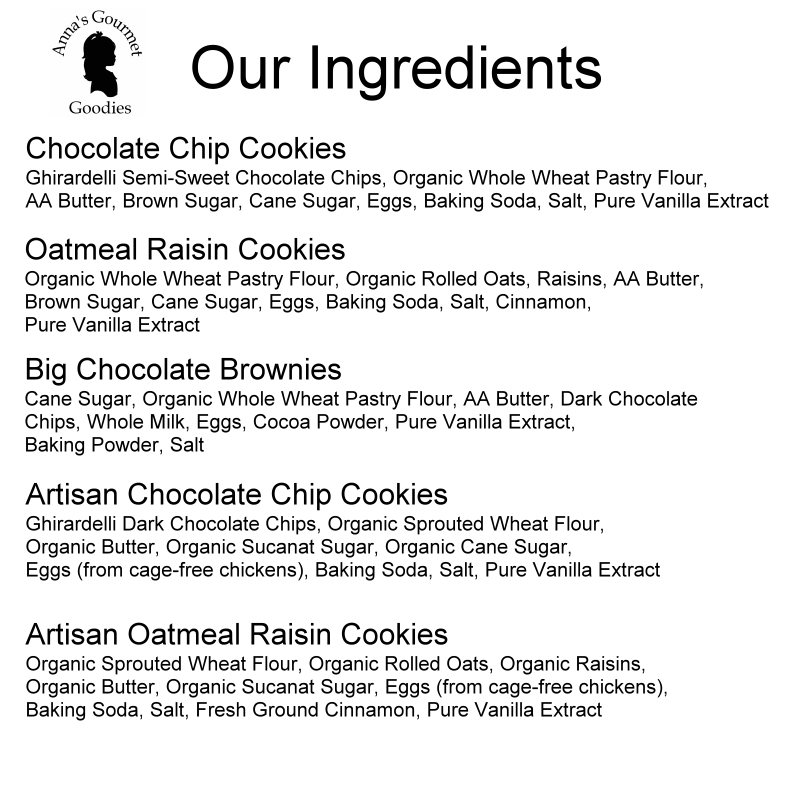 We use 100% organic whole wheat pastry flour, AA grade butter, farm fresh eggs and pure cane sugar. No additives, preservatives, extenders or other such nonsense in these incredibly delicious homemade treats. Just add milk and enjoy! (2) packages of (3) cookies each. This gift box is made from 100% recycled materials. These are great tasting cookies. We gave all of our employees a gift box of these for our holiday party this year. Delicious.